The school system I work for sends out Draft IEPs to parents by email. The word DRAFT is written across the page with a yellow highlighter to make sure parents know it is a draft. The school system sees this as a way to send information ahead of time so the parent has a copy prior to the meeting, and to determine if they want to bring an advocate to the meeting. Sending a draft home is a good faith effort by the school to share information with the parents before the meeting. During the meeting, parents do not see information projected on the wall for the first time. Preparing a draft saves time. Several times in the meeting, the draft can be edited to reflect all team members’ comments. The draft IEP does not have to be retyped if all team members agree the draft is fine. IEP online software changes the way schools and parents interact. School employees do not have the skills to be able to talk, answer questions, run a meeting, and keyboard at the same time. IEP team meetings feel de-personalized, with all eyes on the laptop or the wall projection, instead of looking at each other face to face. It is tedious to type so much information on these online IEP forms. The team focuses on the form, not on the child. I’ve been in meetings where team members shout out… “you misspelled that word,” ” you typed an ‘i’ and not an ‘o’ there,” etc. Online IEPs have introduced a shift in perspective. As skills increase, it may get better. But we are in the ‘guinea pig’ phase now. I dislike what is happened with the team dynamics. Recently, I sat in on a 1.5 hour IEP meeting with 9 people at the table. The team used an online IEP form. I wanted to take data on the number of eye contacts between team members vs. “all eyes on the laptop or projection screen” as an indicator of team dynamics. 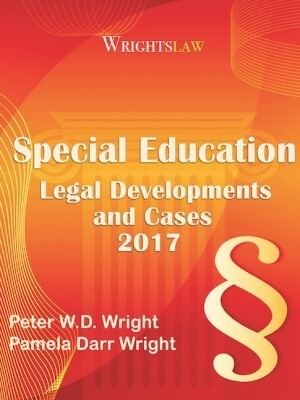 This entry was posted in Advocacy, IDEA 2004, IEPs, Special Education Regulations and tagged Draft IEPs, IEP Team Meeting, IEPs, parent participation by Wrightslaw. Bookmark the permalink. I request that I be sent all proposed goals/services a week in advance of the meeting and I send mine to the school as well. I do not have a problem with a draft IEP at the meeting, because we often have already hashed out many of the goals before hand. I am also very comfortable suggesting edits to the draft and have never felt like it was “set in stone”. IEPs are fluid documents that can be reviewed and edited at any time. My kid’s IEPs are rarely finalized without at least a couple of email discussions after the IEP meeting. 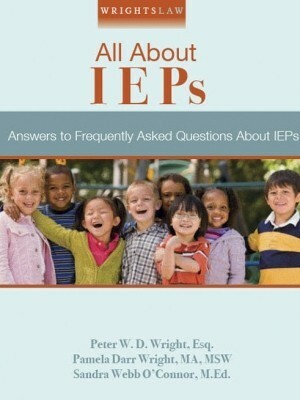 An IEP is a working document and it can be written on. While it may not look pretty, it can be done. The signed, final copy is what matters. What is in the computer is just the framework to cover all parts that I need to write in my IEPs. Make sure that you get a copy of the document immediately following the meeting and signing of it. This way, you can make sure that you have the most current document which team members have signed. My daughter’s middle school has a separate signature sheet, and then spends 10 minutes writing info into a Prior Written Notice form. 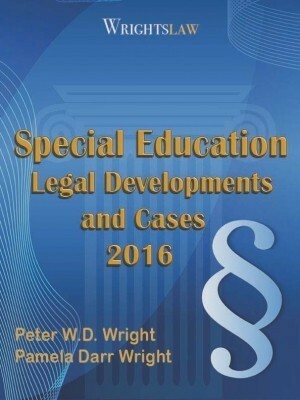 The Special Education Case Manager then writes the IEP with no additional input. Is there an IDEA regulation that addresses this? My school district is constanting changin my son’s IEP after I have read it and reread it. They always leave the room to provide a clean copy to me at the very last minute. Then when I get home they have added and changed things in my son’s IEP. How can I beat them at their own game? I like the draft IEPs. I am going to ask for such. 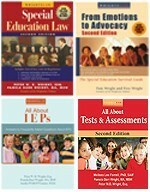 I attended a workshop on how to understand each page of the IEP. A draft IEP would give me a chance to better understand proposed goals but to ask for baselines, if necessary, as well as more detailed information. Beyond, questions about about progress monitoring, I am able to ask, if needed, what does that goal look like? For example, “a child will make progress in reading” is not a goal. Determining the actual test measures with timelines written into the IEP with benchmarks with specific reading levels goals” are measurable written goals. I like that draft as it gives me time to research and truly serve on the team. Ask,”what will each goal look like in the classroom?” as the IEP will be specific and not general a terms. Parents can always request a advocate or even an educational consultant to attend a meeting to review any part of the IEP, A Draft in this case, would only be something a consultant would review with the parent before making any recommendation to address in the meeting with the IEP team. Draft IEPs are not the final product of the IEP Team and parents need to understand this before the document is signed or reviewed. Each parent attending a IEP meeting must be given prior written notice of this meeting by the IEP team. A draft is not the final product of the meeting. My child has been attending private school for three years. An IEP was in place in 2007 and the district failed to contact me in 2008 and in 2009. Finally after request by me, an IEP took place. After the IEP meeting I decided to take it home to review before signing. One of the services offered was speech and language in the private school district and they gave me a form to sign called a “certificate of parent decision not to enroll in public school” in order for the services to take place. I did not sign at that time. 2 months later the school called saying they needed to close the file. I went in and signed the paper in order to receive the services. Now I find out that I signed away all my rights to the IEP. I have searched online and am wondering if this document is a valid/legal SELPA document under CA law I have been duped. I am a speech-language pathologist. I am new to this discussion and this comment may not even apply to you anymore. 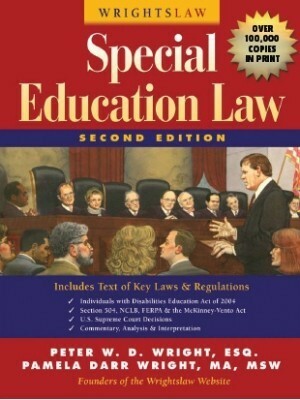 Private schools typically do not offered special education services. IEPs allow for a Free and Appropriate Public Education (FAPE). If your child required speech-language services, the county or city where you lived was obligated to provided speech-language services to your child at no cost to you. Your child could have continued to attend the private school; however, you should have been offered the opportunity to take your child to neighboring school to receive services. 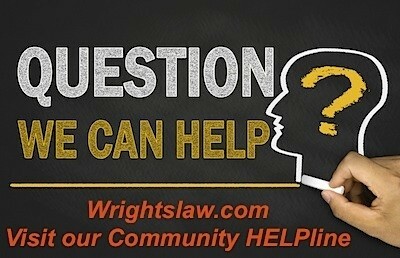 Thanks much, Wrights +, for making useful info for stakeholders available so easily. 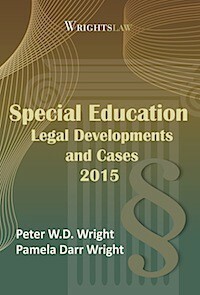 “You will be provided with a DRAFT copy of an IEP when the IEP meeting is convened. “Should you at that time wish to request that meeting be adjourned to provide you with sufficient time to review the DRAFT, please feel free to do so. “Alternatively, you could prepare a list of parent concerns, goals you wish to have included in the document and any other relevant data pertinent to the program that you wish to emphasize. This written agenda will then be reviewed as part of the meeting. I was already planning on submitting an agenda and bringing what is mentioned above. Any suggestions? The meeting is in a week. Stephanie- “This effort allows everyone to have a reference, be focused on the document and come to a common understanding for additions and deletions. 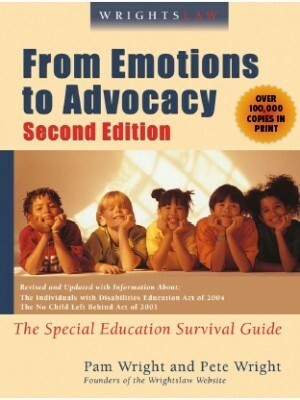 No prior copy of this draft is provided to the parent.” She stated everyone, who is everyone? I would ask, “Shouldn’t everyone include the parent?” I would further say, I am sorry, I thought I was an equal member of the IEP team. I would then say something to the effect of, “While I know this may be a bothersome request, I really need the draft as it will enable me to actively participate in the IEP meeting.” Think about it, how could you actively participate when you are not privileged to the same info as the rest of the IEP team. I would also ask if there was policy regarding this and request a copy of it. This effort allows everyone to have a reference, be focused on the document and come to a common understanding for additions and deletions. What teachers say at an IEP meeting is important. Just had my son’s IEP. I requested a draft IEP so that I could see what’s coming. They wanted to end OT direct service by saying goals achieved. Two teachers spoke on how he isn’t organized, has messy writing, and is hyper in class. After that the OT goals were reinstated, and we went from no direct service to keeping a once-a-week direct service OT. AND we added goals not suggested by district. But the teachers’ report was key. Drafts are not used for parental benefit in our district. They use online IEPs which we always hear can not be accessed during the meeting but the parents are assured it will be written and sent later. Never does the fully agreed upon discussion make it to the IEP. Most parents don’t realize after a district has made an offer of FAPE they should be able to walk away with it in their hands. The SD has been known to go to a Due Process and say “it was just a draft” and waste time because the DP becomes moot and expensive for parents. At a time the IEP’s were drafted and I pointed out they paraphrased my parental concerns which diminished the statement I asked for them to type it verbatim. They dicker over how much space they have to write. Software can be altered or I tell them type it in the summary, where space is unlimited. Having a draft prepared before the meeting effectively eliminates the parent’s participation in the decision making process. After a written document is distributed to all members of the team, it becomes the parent’s responsibility to assure that all parts of the IEP are reviewed, discussed, and agreed upon. 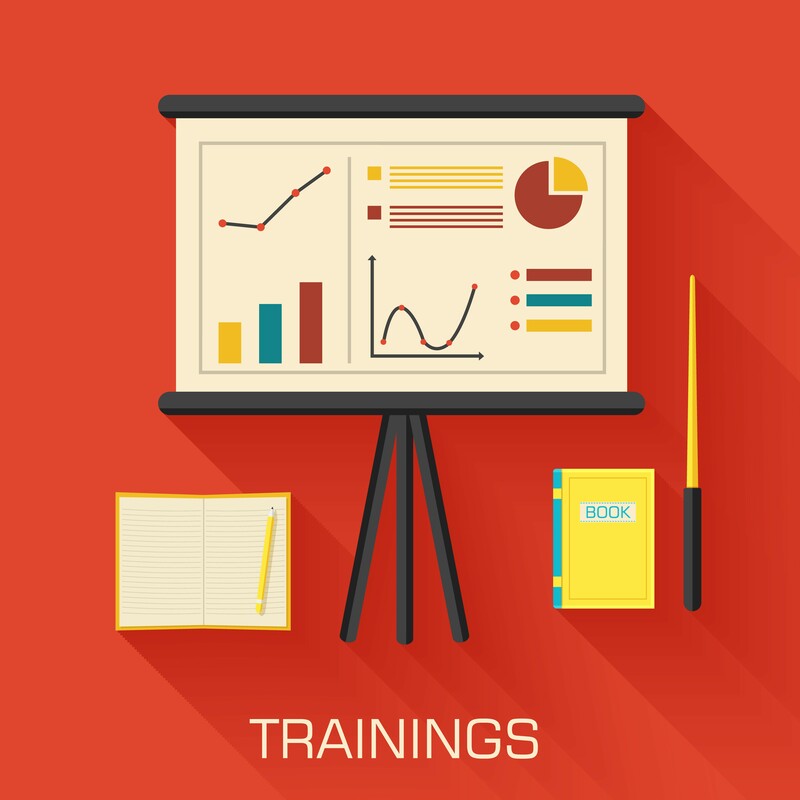 Staff, who have generally come to the meeting with a game plan and strategies to achieve a “win”, try to move through the document as quickly as possible, skipping whatever they can get away with, and the parent has to repeatedly put on the brakes so all areas are discussed. It puts parents in the position of being the “complainers” and “never agreeing to anything.” This attitude breeds resentment. The whole process is supposed to be a collaborative effort where decisions are made by reaching consensus. Drafts undermine that. I like receiving a draft ahead of time. I have had children in the system for over 10 years now and I try to get any information I can prior to my meeting. I have been in the situation of begging for services to fight so they won’t end prematurely. Our special education system is greatly failing the future of this country by failing our children. After years of dealing with the school system (and I live in a good one) I was forced to spend thousands of dollars on both private and group tutoring in order to get my children up to a “normal” standard. All parents should take the time to look over the draft IEPs, do online research and don’t be afraid to demand more services for your child. If you understand the process prior to your meeting then you will be a better advocate for your child. I request and receive a draft of my son’s IEP goals. I have time to review their ideas, compare them to mine and get suggestions in before the meeting, if I want. Our IEP takes an hour at the least without this being done. I would also welcome an on-screen interactive IEP process, but I’m used to those sorts of things in my job. What’s the difference between everyone looking down at a paper and everyone looking up at a screen. The dynamics might actually be better if we don’t all have our heads down. Is this an IEP issue or just discomfort with technology? 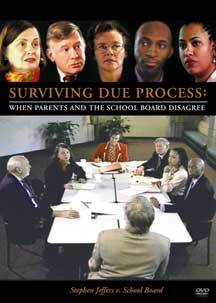 How a draft is seen is often based on prior dealings with the school staff. At one school, the staff contacted me for information and included this infomation in the draft and were very happy to update it if it wasn’t worded to represent the information I was providing. It was provided several days in advance of the meeting in order to allow the parent to read and have questions ready for the meeting. At the next school, since they chose to not have a way to individualize the education for the student, any goal that didn’t fit in their boxes was trivialized (decoding, fluency, comprehension,etc). In this case, the draft brought to the table and quickly read held just far enough away that you couldn’t see it was expected to be signed. So, in my experience, it depends on the school and their agenda – good or bad. A well developed draft can be of great benefit to parents. I believe a parent should be in contact with those who will be developing the draft well ahead of any meeting. Almost as soon as your child starts the year, find out who that is. Then make frequent, brief communication with that person a goal. Ask when the draft will be developed. Ask to be a part of the process. Explain that you are interested in what that person sees as your child’s developing PLEPs. Share what you are seeing. Then start defining needs in your own words. Give the person writing the draft a chance to bounce goals off you. You do the same. By the time the meeting comes around, I promise, you will be a part of the team. Also, remember to throughout the year, take food to your meetings and write little notes of thanks for anything specially helpful. Personally, I like receiving a DRAFT IEP. Our district doesn’t make the draft available online (but I’d really like to see this and will ask if it’s possible). The main drawback for me is that the DRAFT is ONLY of the Goals & Objectives, no PLOPS, no services hours. I’d like to see ahead of time what they’re proposing the entire IEP will look like. It is always understood that the DRAFT is not a “done deal”. Knowing ahead of time what they’re proposing allows me to add my thoughts and formulate intelligent questions for the actual meeting. It saves time. Our district also does not use a laptop at the meetings; changes are made by hand to the DRAFT and a final copy is mailed to the parents within five school days. In my state, parents do not “sign off” on an IEP. If we ultimately cannot agree on an IEP, DP is our only recourse. The question shouldn’t be whether draft IEP’s presented at the meeting or prior. 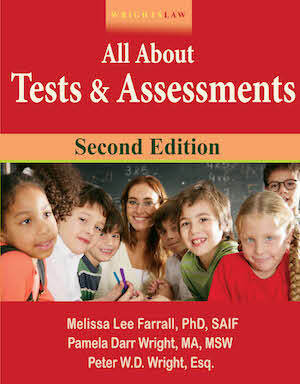 “Why does a draft need to be part of the process at all?” – if the school is fulfilling its duty to timely assess and hold the eligibility meeting to discuss the results.Then, that meeting to create the actual IEP would be a discussion of goals, placement options and most importantly how these things will address their child’s individual needs. I don’t know a parent in the world that would bat an eyelash at having to meet one more time to give an informed consent after having fully participated or to receiving the final draft by mail. School’s have abused their authority by implementing draft IEP’s. Nine out of Ten times walk away not feeling as though they have been heard or convinced that he IEP is appropriate. As equal members we need act as though our opinion counts and assert the power we have been given. The IDEA speaks to the rights imparted by congress and we are included to rectify the past wrongs. No one knows these children better than we do. It is our duty to be their voices. I got an incomplete IEP draft a few days before the actually IEP. I didn’t have a chance to engage in the full discussion of the IEP components, such as the goals and the proposed services. Team members rushed me through 15 pages with all the mixed up numbers and asked me to sign. I smiled and said to my IEP team members with my broken English. “Thanks but no thank.” Then the meeting was over. Here in Maryland school teams (at least in Southern Maryland) develop draft IEP’s and usually it’s just the G&O. No PLOP, no services, accoms and mods, etc. If a parent isn’t aware of all of the components of the online IEP model, they “don’t know what they don’t know” and it prohibits them from meaningful participation. A parent recently commented that IEP meetings feel like the drive thru at McDonald’s, and there’s no time for discussion or understanding.